While known as a romantic haven, Bali is also a friendly host for family vacation. The island’s natural landscape itself will immediately captivate younger visitors’ attentions. There are sides of the island which are kid-friendly and, more to it, designed to amuse a whole family. 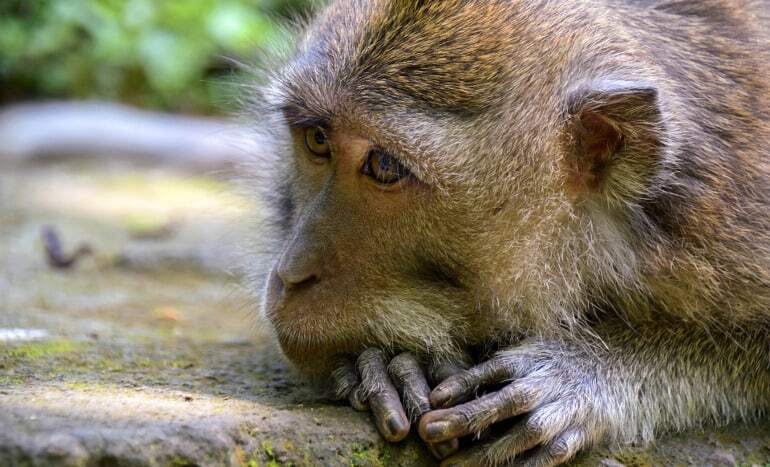 From the sandy beach to the exotic animal kingdoms to the local values, these are some things you can do in Bali with kids. Indonesia is known as a home for myriads of exotic wildlife; and Bali is host to some of the endemic faunas. Your kids will be enthralled by the island’s dedicated animal conservations. Visit Bali Safari and Marine Park to witness more than 60 species of animals from across the world in their natural state—with Komodo dragons, orangutans, native wild cats and Sumatran elephants under the spotlight. On another side of the island, you can visit Bali Bird Park, a sanctuary to more than 1,000 birds from around the world including the rare Bali starling. Bali has wide ranges of local cuisines to continue satisfying your palates. From mouth-watering spicy culinary­—such as Babi Guling, Tipat Cantok, or Bebek Betutu— to sugar-laced delicatessen—such as Daluman, Balinese cuisine might always find a spot to attract your family members. If you are not satisfied to only savor the delicious cuisine, you can even play chef and get involved in cooking various menus of Bali’s best dishes on Cooking Class held at Sun Island Boutique Villas & Spa Seminyak or White Rose Kuta Resort, Villas & Spa. Golden sand and turquoise seawater surround Bali with most beautiful beaches anywhere you go. While adults would love to spend days lounging by the chic beach like in Kuta or Seminyak or surfing the tides in Uluwatu, kids would love to spend a day at beaches where they can freely move. Mengiat Beach in Nusa Dua might be a great kid-friendly beach. Karang Beach in Sanur and Batu Bolong Beach in Canggu might also be a perfect choice to play with rippling waves or to build sandcastles. Not only home for most beautiful beaches in the world, Bali is also home for most exciting waterparks. Kuta and Canggu own the most exciting waterparks, including the famous Waterbom—hailed as the #1 best waterparks in Asia and #2 best waterparks in the world. Children will love a whole-day excursion at Bali’s waterparks. During the breezy day of summer, Bali sky becomes a host to multitude of beautifully ornate kites of many sizes and shapes. 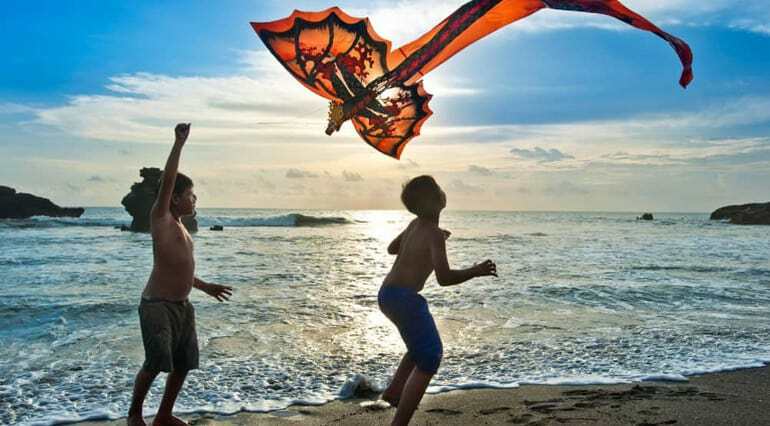 Best places to play or witness traditional Balinese kites are beaches and rice fields. Some kite festivals are held along the months of July to October, with the famous Bali Kite Festival being held in the month of July, in Sanur Beach. Take your kids to kite-infested beaches and fly his/her most favorite kites to soar up the sky. With the amount of beaches, Bali is known as a great place for mangrove forest, which lines up along the shoreline. While mangrove forest is important for life—from marine life to human, from the earth to the sea—understanding about its importance is still low among people; therefore, at Mangrove Care, which you can visit at Suwung Kauh, Jl. Bypass Sanur, you can get involved into the life of these vegetation. Take your kids to walk along the forest at the intersection of earth and sea or else ask them to plant mangrove plants. Art and culture in Bali remains intact from the ancient time. That becomes a gift for the world to witness how ancient culture is conserved and practiced in modern life. There are plenty of cultural and shows in Bali which will amaze you and your kids. From Kecak Dance at Uluwatu temple to Barong Dance which you can find in myriads of amphitheater in the island, all these shows will introduce your kids to a new world they might have never experienced before.